The Smithsonian announced Tuesday that, should you be planning a trip to one of their affiliated institutions, you might as well just leave your dumb selfie stick at home because they're not allowing them anymore. That's according to the Washington Post, which points to the announcement on the Smithsonian website. Tripods have long been verboten on Smithsonian grounds; now selfie sticks are included in the policy. "This is a preventive measure to protect visitors and objects, especially during crowded conditions," the announcement says. They can't have anybody punching a hole in the lunar landing module, you know? Or braining another museum patron. 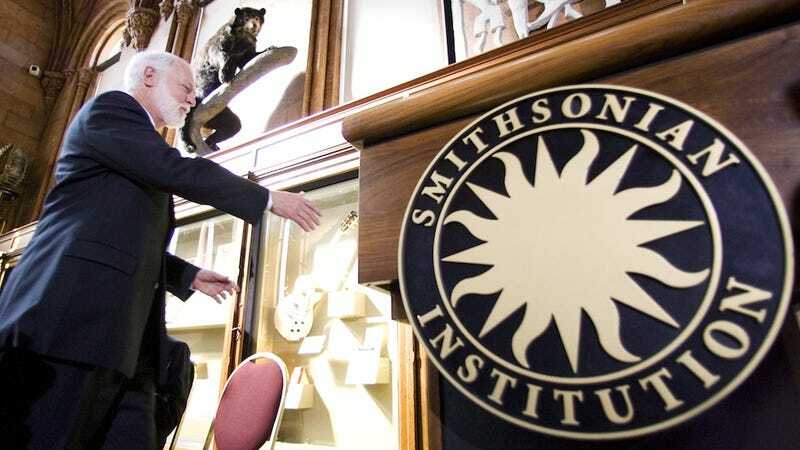 The Smithsonian is just the latest organization to ban these roaming health hazards. However, selfies are still encouraged. "Share their experiences—and leave the selfie sticks in their bags," urges the Smithsonian. Help your fellow visitors escape without any new goose eggs.